Matchbox Scooby doo Corvette USA issue only mint boxed. 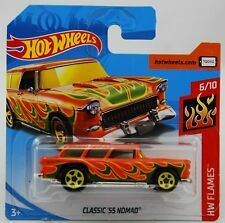 HOT WHEELS PACK OF 3 2018 HW FLAMES CHEVY MODELS ON LONG AND SHORT CARDS..
5 out of 5 stars - HOT WHEELS PACK OF 3 2018 HW FLAMES CHEVY MODELS ON LONG AND SHORT CARDS..
67 product ratings67 product ratings - HOT WHEELS PACK OF 3 2018 HW FLAMES CHEVY MODELS ON LONG AND SHORT CARDS..
1/64 Scale Diecast Model. Hot Wheels. We cannot do anything about this as it is exactly how we receive them. 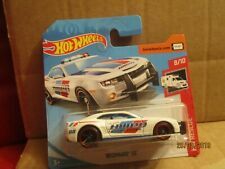 Make:- HOT WHEELS 2016 Model:- 1969 Chevrolet Corvette Racer (New Casting) Colour:- White Series no:- HW NIGHT BURNERZ 6/10 86/250 Card:- Short This was purchased through UK Retail. RACING CHAMPIONS MINT. 1967 CHEVROLET CHEVELLE SS in dark blue. 1/64 RELEASE 3-B. Hence our prices maybe a little Higher ,in Most cases they Are sent Singed Also. (unless Stated Otherwise). Single item upto 2kg's - £3.60. Single item upto 2kg's - £5.00. Model cars in 1:18 scale / example: original vehicle 4.50 m / model car approx. Model cars in scale 1:43 / example: original vehicle 4.50 m / model car 10 cm. Model cars in scale 1:24 / example: original vehicle 4.50 m / model car 19 cm. '69 CAMARO. FIRST EDITIONS. Series Hot Wheels First Editions. 2006 HOT WHEELS. SHORT CARD. condition is mint to near mint condition (never opened). Year of Release 2006. Vehicle Year 2006. Character Family Christine. Vehicle Year 1967. UPC 746775306564. Material Diecast. Scale 1:64. COLLECTOR #792. CAMARO RACE CAR. 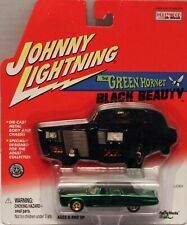 ~~ 1998 HOT WHEELS ~~. Year of Release 1998. Year of Manufacture 1998. Vehicle Type Car. Color White. Driver Dale Earnhardt, Jr., #88. Vehicle Year 2016. Features UNIQUE GHOST FINISH. Features #190 of ONLY 300 Made! Features Very Highly Detailed RCCA ELITE Diecast. Series ELITE. Race series Sprint Cup. Series SUPERFAST. 2004 MATCHBOX. 1970 CHEVROLET EL CAMINO. Vehicle Make Chevrolet. Year of Release 2004. Vehicle Year 2004. Country of Manufacture China. Vehicle Type Car. FJY40 346/365. HOT WHEELS 2018. HW SPEED GRAPHICS 7/10. '70 CAMARO. 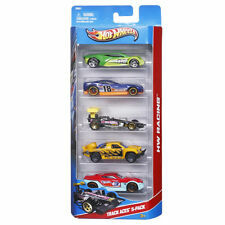 HOT WHEELS 2019 035/250 FLASH DRIVE NEW ON CARD. Cards may not be perfect so ideal to open. 1972 Custom Chevy LUV Green. 1/64 Scale Diecast Model. Hot Wheels. We cannot do anything about this as it is exactly how we receive them. 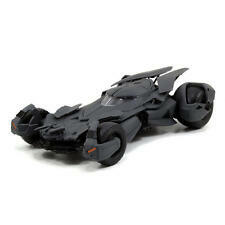 Hot Wheels Model Toy Car. 1964 Chevy Chevelle SS - SPLIT TO BUBBLE. 1/64 Scale Diecast Model. Hot Wheels. We cannot do anything about this as it is exactly how we receive them. Make:- HOT WHEELS 2016 Model:- Chevy C10 Colour:- Blue (second colour) Series no:- HW HOT TRUCKS 3/10 143/250 Card:- Short This was purchased through UK Retail You are bidding for a brand new sealed product. Please look at my other models. I will give a postage discount for combined purchases so use the Basket/Cart or ask me for an invoice before paying for several items. Make:- HOT WHEELS 2016 Model:- 2016 CAMARO SS . New Model Colour:- Blue Series no:- HW MUSCLE MANIA 9/10 129/250 Card:- Short This was purchased through UK Retail. Make:- HOT WHEELS 2014 BATCH J JUNE 2014 Model:- 1969 Chevy CAMARO Colour:- Blue Series no:- 2014 HW WORKSHOP #213/250 Model no:- BFD92 Card:- Short. '55 CHEVY BEL AIR GASSER. RELEASED: 2017. OUR REF: HW16/12. 2017 CAMARO ZL1 = GREEN. ~~ 2018 HOT WHEELS ~~. Year of Manufacture 2018. "NEW LOOSE". Color Green. Vehicle Make Chevrolet. #33 DODGE VIPER GTS R. Series SUPERFAST. 2004 MATCHBOX. Year of Release 2004. Vehicle Year 2004. Material Diecast. YELLOW BODY COLOR WITH GREY INTERIOR W/MATCHBOX. Country of Manufacture China. PORSCHE 911 CARRERA CABRIOLET. Series SUPERFAST. 2004 MATCHBOX. Year of Release 2004. Vehicle Year 2004. Material Diecast. Country of Manufacture China. Vehicle Type Car. Series SUPERFAST. 2004 MATCHBOX. #61 CHEVROLET BEL-AIR. Year of Release 2004. Vehicle Year 2004. Country of Manufacture China. Scale 1:64. Series SUPERFAST. 2005 MATCHBOX. 1933 FORD COUPE. Year of Release 2004. Vehicle Year 2004. Material Diecast. Country of Manufacture China. Vehicle Type Car. #48 VOLKSWAGON CONCEPT. Series SUPERFAST. 2004 MATCHBOX. Year of Release 2004. Vehicle Year 2004. Material Diecast. GREY BODY COLOR WITH MAROON RED INTERIOR W/MATCHBOX. Country of Manufacture China. Series SUPERFAST. 2004 MATCHBOX. 1957 CHEVROLET CORVETTE. Vehicle Make Chevrolet. Year of Release 2004. Material Diecast. Color Blue. Vehicle Type Car. VOLKSWAGEN MICROBUS CONCEPT. Series SUPERFAST. 2004 MATCHBOX. Year of Release 2004. Vehicle Year 2004. Material Diecast. Color Silver/red. Features card has soft corners & blister is creased.